Growth and dynamics have been unhalted since 2014, as the year of 2017 saw the consolidation of a booming real estate M&A sector, transactions reaching almost €2 billion on commercial real estate and representing an increase of circa 50 per cent in comparison with 2016. These record numbers were spearheaded by foreign players encompassing 80 per cent of all investment, with investment funds continuing to be the most active, raking up 76 per cent of the overall investment figure. Average ticket per transaction is of approximately €33 million, domestic investors usually taking €14 million tickets, whereas foreign players’ tickets average €45 million. Growth on real estate activity impacted strongly on property prices; indeed, and just to grasp the market rhythm, in March 2018, housing sales prices increased 14.2 per cent over the previous 12-month period. A glance at the top 10 major Iberian deals shows that three had a direct connection to Portugal, putting it in the spotlight of international players. Of these, reference should be made to the sale by real estate funds managed by Blackstone of the portfolio of logistic assets owned by Logicor to China Investment Corporation, completed in the second quarter of 2017 and which in Portugal represented a value of €260 million, totalling 534,000 sqm. Leading the charts are major North American hedge funds that during the sovereign debt crises saw an opportunity to acquire relevant shopping centres and retail assets (mostly in Lisbon) and that in the meantime started divesting their portfolios aiming to multiply their return in a market where commercial investment has been taking centre stage. Another trend worth noting has been the sale of real estate portfolios by major banks and insurance companies; Fidelidade, the largest Portuguese insurance company, is selling a 277-asset portfolio with an expected value close to €400 million, following the 2017 sale by Tranquilidade, the second Portuguese non-life insurer, of a €200 million portfolio. The shopping centre and retail sector was definitely on a high note, as during the first quarter of 2017 the Forum Coimbra and Forum Viseu schemes were sold by CBRE Global Investors to a joint venture between Greenbay Properties Ltd. and Resilient (a real estate investment trust), for €219 million. The start of 2018 brought the news of the acquisition by Tiekenveen Holding BV (an Auchan Group subsidiary), to the Blackstone Group, of the schemes Forum Sintra, Forum Montijo and Sintra Retail Park, valued in approximately €400 million, the deal having been cleared by the Portuguese Competition Authority in February 2018. However, the star of the lot also on sale by Blackstone was Almada Forum, a 230-shop scheme valued in €450 million, regarding which the Spanish SOCIMI Merlin Properties was reported to be in advanced negotiations during the first quarter of 2018. This asset had been previously acquired by Blackstone to Commerzbank back in 2015, for a value around €224 million. As for alternative assets, 2017 saw completion of the acquisition by Macquarie European Infrastructure Fund 5, managed by Macquarie Infrastructure and Real Assets, of the entire share capital of Empark Aparcamientos y Servicios, S.A., the leading carpark operation in the Iberian peninsula that resulted from the merger between the Portuguese Emparque and the Spanish Cintra Aparcamientos, a deal that involved a value above €900 million (including acquisition price and debt repayment). Also worth noting was the ‘in-house’ sale by electrical company EDP of its new headquarters (boosting a 13,900 sqm area) to the EDP personnel pension fund (Fundo de Pensões do Pessoal da EDP) for a reported €101 million, completed in the fourth quarter of 2017. Back in 2016, the 5 office-asset’s portfolio representing 78,600 sqm owned by Norfin’s managed Office Park Expo fund, which was held by Caixa Geral de Depósitos, was sold to SG Trust in a €235 million transaction. During the third quarter of 2017, a fund held by Explorer Investments, one of the main players in the Portuguese private equity market, acquired a retail and offices’ portfolio owned by Silcoge in a deal near €150 million, representing 63,700 sqm. Also significant was the acquisition by the Anchorage Capital Group and Norfin Consortium of an 86 properties’ portfolio owned by the Portuguese insurance company Tranquilidade (including their head offices in Lisbon’s Avenida da Liberdade), for around €96.5 million representing 32,523 sqm. In January 2018, Axa Investment Managers acquired, on behalf of clients, Dolce Vita Tejo, the second largest shopping centre in Portugal, for €230 million, to the North American Baupost fund (90 per cent) and Eurofund Investments (10 per cent), an asset with 80,000 sqm in size. Finally, it has just been reported the sale by the Teixeira Duarte group to Kildare PE fund of the Lagoas Park office park (comprising 13 office buildings with an area of 85,000 square metres), for an undisclosed value, market sources valuing the asset at €300 million. Absence from the national landscape of the long-awaited, but not yet approved, REITs means that real estate funds have centre stage as the sole players of the real estate market with publicly traded units (as detailed in the following subsection). Strides were given by the previous government in preparation of a legislation package to regulate the SIPIs, the Portuguese equivalent to the Spanish SOCIMIs, intended to work as publicly traded companies with a minimum share capital of €5 million. The initiative was, however, halted by the current left-wing coalition government, seeking political consensus for their deployment. The need to chase such a consensus, could, however, work against the Portuguese regime should it prejudice the internationally recognisable and accepted REIT configuration requirements. REITS are definitely one of the mechanisms perceived by investors as critical to attract long term capital, and there has been continued pressure from all real estate related sectors to push for their approval in Portugal so as to further reinforce the credibility of the sector and provide comfort to international players. This also means that the Portuguese REIT regime should enhance transparency and straightforward reporting systems, stemming from suitable governance structures capable of being understood by all stakeholders. Although REITS are therefore deemed part of the solution to further dynamism in the Portuguese real estate market, the formula to put them in play has not yet been conjured. Some analysts predict that the Portuguese REIT regime could assist in bringing between €10,000 and €15,000 million of additional investment in commercial real estate, liaising in the conversion thereof into financial investment and making it a good alternative in the savings market. Hence, and other than real estate funds (as detailed in the following subsection), real estate M&A is mostly driven by commercial limited liability companies by shares or by quotas, the latter being more tailored to smaller operations benefiting from slimmer governance and supervision requirements. These companies are usually qualified as REOCs pursuant to their corporate scope, consisting of the development and management of real estate assets, as well as on the sale and purchase of assets for their subsequent resale. Key domestic players in the private equity sector, such as ECS, Explorer, Magnum Capital or Oxy Capital, are primarily enrolled in venture or growth capital. Funds have, however, been set up to conduct investment in the real estate sector, namely in companies with attractive real estate assets for development or tourist operation. Private equity investment in the real estate sector has therefore been deployed either through private equity or venture capital funds, real estate funds or via the SIIMO. SIIMOs are collective investment schemes similar to funds but structured as share companies with a fixed or variable share capital (respectively named SICAFI or SICAVI) whose assets are held in ownership and managed as a trust either in self-management2 or third-party management, in an independent manner and in the interest of the respective shareholders. The share capital of SIIMOs is represented by nominative shares without nominal value, which are issued and traded as per the rules that govern the participation units of real estate funds. Pursuant to the most recent Annual Activity Report of the Portuguese Securities Commission on 2016 private equity investment (focused on venture capital activity) the real estate sector was the target of around 10.6 per cent of the total value invested by Portuguese private equity players strictu sensu (e.g., private equity companies and private equity funds); this means that from the €3,576 million invested by this sector in 2016, around €380.4 million targeted the real estate segment, the majority of such investment deriving from private equity funds. Although still small, in recent years the trend shows increased weight of the real estate sector as a target of private equity investment in Portugal. It should in any case be noted that by the end of the first quarter of 2018 roughly €6,310 million was invested by real estate funds in rented construction, whereas €2,999 million was invested in land and construction projects. Net asset value under management hit €10,837.7 million in a total of 224 funds, representing an increase of €175.4 million when compared with the end of the first quarter of 2017. Typically, the sale and purchase of real estate assets can be structured either via a direct asset deal or, indirectly, via a share deal targeting the acquisition of the entire share capital or participation units of the company or fund that owns the relevant asset or portfolio. Option between asset deals and share deals is driven by commercial or economic, financial, legal, tax and other considerations, but also taking into account the nature and type of purchaser and potential risks and liabilities susceptible of being inherited, with typical investors favouring asset deals. Potential ring-fencing concerns and legacy issues are also usually deemed as downsides to share deals (more appropriate for continuity solutions), although they have the plus of allowing foreign investors to step into an already existing corporate vehicle with low investment set-up. More complex corporate structures (such as mergers or demerges) are less common in effecting the transfer of real estate assets. A note should also be made to the potential qualification of asset deals as involving the transfer of an undertaking as a going concern, the dividing line being clearer in those transactions where the business performed in the target asset has more relevancy than the underlying property. Transactions can either arise from private or off-market processes – the rule for traditional deals involving developers or a low number of assets – or be the result of organised competitive procedures, the latter being standard for processes involving high-profile assets or large portfolios, as well as whenever banks or listed entities are involved. The highly regulated profile and complexity inherent to bidding processes also makes them more lengthy and costly. 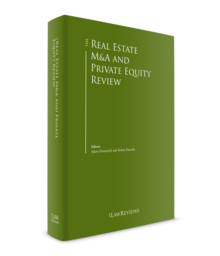 There is no standard time frame for the completion of a real estate M&A transaction, the duration of any deal depending on a number of factors, taking into account the risk-prone or risk-free approach of the parties, required regulatory clearances or fillings, the option to dismiss or limit any due diligence exercise, as well as by the need to address or remedy any material issues arising thereof and considered critical. As for the typical contractual conditions of real estate transactions, as a result of common-law influence any significant acquisition will follow international terms and clauses, both as to what concerns methodologies (such as the use of preliminary agreements, due diligence investigation) and the contents of contractual documentation (use of representations and warranties, indemnities, disclosures, etc.). The submission of a non-binding offer or letter of intent is usual in more complex or high-value transactions, in particular involving qualified investors, followed by the formalisation of a non-disclosure agreement regulating access to more detailed information concerning the asset. The due diligence stage follows submission of the initial offers and may accommodate more than one investor reviewing the relevant information package. Legal due diligences have as their primary concern to identify any contingencies or negative consequences that may be triggered by the envisaged transaction, although different levels of analysis naturally apply depending on whether or not the operation is to be structured as an asset or share deal (for example, concerns around change of control or ownership provisions susceptible of motivating termination of key agreements or the acceleration of debt due under credit facilities or loans are more standard in share deals). The common backbone focuses, in any case, on the verification of ownership and encumbrances over the relevant real estate assets, tax status as well as on regulatory, planning and licensing requirements (including environmental) applicable thereto. High emphasis is likewise placed on the analysis and assessment of compliance levels under material agreements or other arrangements encumbering the asset (e.g., concession agreements, lease agreements or shop use agreements). Labour matters may also be relevant for share deals or whenever asset deals are susceptible of being configured as transfer of a business as a going concern. Technical due diligence to the properties is also usually performed, entailing inspections and surveys to assess their suitability, construction status and existence of any structural or hidden defects. Verification of environmental matters, both from a legal and technical perspective, also assumes paramount importance to investors when perusing potential business opportunities, including assessment of the presence of any potentially hazardous or dangerous substances in the properties. Finally, deals involving assets for development may also require careful review and validation of any approved or ongoing licensing procedures and urbanisation commitments. Typical deal security measures are normally deployed by qualified investors, often in conjunction with exclusivity negotiation periods. Exclusivity clauses are more usual in in transactions with several interested investors, being demanded for reasonable periods of time (normally from 60 to 120 days, although no standard duration rule exists), in particular where one bidder seeks an exclusive negotiation period at an advanced stage of the process. Far from being standard practice, break-up fees may be set in complex transactions, mostly seeking to protect the investor if a seller terminates negotiations at an advanced stage or elects another bidder. Although less usual, break-up fees may also be agreed to protect the seller in the cases where the sales procedure has a negative impact on ongoing businesses or on the overall value of the targeted asset. Match rights’ undertakings may also be set forth in some transactions, awarding bidders the possibility of meeting or matching competitive offers presented by other interested parties. When considering real estate transactions, pre-emptions rights and other similar third-party rights are unavoidable to assess, either by clearing the risk in advance or otherwise developing strategies to deal with any such rights that may bring a degree of uncertainty to the deal until a very late stage of the process. Real estate transactions are commonly preceded by the execution of a binding promissory sale and purchase agreement, setting forth the reciprocal undertaking from seller and purchaser concerning the envisaged transaction. This type of agreement is usual if execution of the transaction is subject to the fulfilment of conditions precedent (including, if applicable, anti-trust clearance) or conditional to the purchaser obtaining required financing. Typical conditions precedent in asset deals concern waiver of applicable pre-emption rights, notably from public entities (municipalities and state entities responsible for the safeguard and protection of historical and architectural heritage) as well as from tenants or other co-owners, these conditions, however, do not apply in share deals. As for share deals, most common conditions precedent relate to required consents or authorisations so as to avoid triggering change of control provisions or the acceleration of debt due under credit facilities or loans that are to be kept in place. In deals involving development projects, approval of envisaged planning may also be construed as a condition precedent. Upon execution of a promissory agreement, a deposit is normally made as advance payment of due consideration, the percentage thereof varying as agreed by the parties (market practice often points to a 10–15 per cent range). As per default legal provisions, this deposit will be lost or will have to be returned in double if, respectively, the promissory purchaser or seller fail to execute the definitive agreement; in case the promissory purchaser was awarded possession of the property the same may opt to request the return of the deposit in single, but accrued of a compensation in an amount equivalent to the market value of the property at the date of breach, minus the agreed consideration. Alternatively, the non-breaching party may apply for the compulsory enforcement of the promissory agreement. Also relevant in promissory agreements is the provision of the representations and warranties that are agreed by the parties and that are subject to repetition on completion date. The sale of real estate requires execution of a public deed executed before a notary or, alternatively, sale and purchase agreement with certified signatures, or sale and purchase agreement executed before the land registry as per a relatively standard form (the last two options being less common in major transactions). Execution of the sale is preceded by the verification of ownership of the seller over the real estate and of its capacity to dispose of the property. If existing, any charges or encumbrances over the property are usually discharged simultaneously with payment of the consideration (the most common being cancelling the mortgages). Subsequent registration of the acquisition is required before the land registry to prove ownership, as well as before the tax authorities. As for share deals, completion does not require execution of any deed before a notary or even of an authenticated or notarised document, with the parties agreeing on the definitive transfer of the envisaged participating interest under a private document. Ancillary transfer formalities are, however, required, most notably delivery of share certificates (or deposit thereof in case of book-entry form shares) for share companies or registering the change of shareholding structure before the commercial registry in case of quota companies. i inexistence of debts related to ownership and operation of the property, including due and proper payment of all taxes, charges and fees. Additional representations and warranties may also apply to share deals, in particular concerning ownership over the participating interest to be transferred, good standing of the entity to be acquired, compliance with agreements, as well as labour matters. Protection from potential issues or contingences detected during the due diligence or that may arise post-completion is usually sought through a combination of specific indemnities and compensation for breach of the representations and warranties. Furthermore, and so as to secure the seller’s obligations, it is also not uncommon for M&A deals targeting material assets to provide additional measures to mitigate the purchaser’s risk, including price retention or withholding (until certain milestones or conditions are verified), escrow agreement mechanisms, first-demand bank guarantees, parent company guarantees or comfort letters, among other things. No hostile transactions have occurred with regard to public real estate companies. Funding used in national real estate M&A transactions follows standard financing schemes. Typically, a loan agreement is entered into by the purchaser together with the associated security package (which is in line with international common practice), loan-to-value percentage varying on a case-by-case basis (despite usually fluctuating between 65 per cent and 80 per cent as the common maximum threshold). The most frequent and relevant collateral in real estate deals is the granting of a mortgage over the target asset or portfolio. However, in share deals careful construction of the funding facility and security package is required in order to avoid financial assistance constraints (pursuant to which a target company is prohibited from supplying funds or providing any collateral so that a third party can acquire its share capital). Security packages for transactions involving commercial real estate may also require the pledge of receivables or the assignment of receivables by way of security, as well as the assignment of income arising from real estate (mainly rents); in share deals, pledges over the target shares may also be required. It should, however, be noted that the growing popularity of Portuguese real estate assets, by capturing the attention of international players, is bringing in a relevant inflow of foreign equity and therefore injecting additional liquidity and resources into the market. The acquisition of property rights and other over real estate located in Portugal is subject to property transfer tax (IMT) levied over the consideration paid or the tax registration value of the property,5 whichever is higher. Tax rates range between 5 per cent and 6.5 per cent, respectively to rural and urban properties, although several exemptions may apply, including on the acquisition of properties for resale, urban rehabilitation or the acquisition of assets by real estate investment funds for residential leases. The acquisition of properties is also subject to stamp duty at the rate of 0.8 per cent levied on the same value relevant for IMT purposes. The holder of ownership, usufruct or surface rights over domestic real estate is subject to municipal property tax (IMI), computed on the tax registration value of urban and rural properties. IMI is due by the rightholder by 31 December of the relevant year, with rates varying (according to the municipality) between 0.3 per cent and 0.45 per cent for urban properties, and 0.8 per cent for rural properties. Acquisition of shares in a company owning real estate may generate tax savings on IMT and stamp duty although it entails indirect tax consequences (e.g., inheritance of potential tax liabilities, no right to depreciate shares and no step up on the tax basis of the property acquired). The acquisition of a shareholding representing at least 75 per cent of the share capital of, inter alia, limited liability companies by quotas is subject to IMT, levied at the higher of the tax registration value or the accounting value of the properties held by the company, whereas no taxation applies if the target is a share company. Income for legal persons, resident or non-resident, arising from the leasing of property and gains realised on its transfer are subject to corporate income tax (IRC), at the general rate (which varies between 21 per cent for residents and 25 per cent for non-residents). Only 50 per cent of the capital gains realised in the transfer of tangible fixed assets are included in the taxable income, provided that the realisation amount is reinvested in the two subsequent years. As for individuals (resident or not), income and capital gains arising from real estate located in Portugal are subject to personal income tax at a special 28 per cent rate. Individuals may opt to subject the total amount of real estate income and 50 per cent of the gains, together with their gross income, to progressive rates of up to 48 per cent (the higher rate applying to taxable income exceeding €80,640). Limited liability companies are taxed under IRC, allowing for investment in real estate with the benefits of the reinvestment regime. Distributed dividends to non-residents will be subject to withholding taxes at 25 per cent or 28 per cent (for individuals or legal persons, respectively). Transfer of shareholdings in a company with the majority of its assets consisting of real estate located in Portugal is generally subject to tax, regardless of the shareholder being a resident or not. Collective investment entities, such as SIIMOs or real estate investment funds, are subject to a special tax incentive status regime that, following a 2015 amendment, is based on the ‘exit’ taxation method, thus aligning it with similar tax regimes of most jurisdictions and allowing for an easier comparison between domestic and international collective investment entities. Although collective investment entities are subject to income tax, the following classes of income are exempt: capital income (property income and capital gains) and expenses related thereto, except from offshore entities; certain non-deductible charges for tax purposes; income and expenses related to management and other commissions that reverted to the entities. Distributions and redemption gains realised by participation unit holders are subject to taxation at 25 per cent or 28 per cent (for resident corporate entities or individuals, respectively) or 10 per cent (to non-residents). Gains realised by non-residents on the transfer of participation units are exempt from tax in Portugal. As a general rule, in Portugal there are no restrictions on foreign investment, which is granted the same level of protection as domestic investment, no specific registration or legal or regulatory protection measures applying. Other than in specific sectors (in particular in those that may affect the public order or the public health, involve the exercise of a public authority or relate to national security), there are no particular limitations on foreign investment, although a number of restrictions and consent requirements may apply both to foreign and domestic investments in regulated areas. In what specifically concerns transactions targeting real estate assets, it should in any case be noted the more stringent legislative package approved in 2017 concerning, on one hand, anti-money laundering and anti-terrorism funding measures (as per Law 83/2017),6 and, on the other, the obligations concerning identification of the ultimate beneficiary holding direct or indirect control over legal entities (pursuant to Law 89/2017). In line with these requirements, know your customer procedures performed by investment funds and financial entities also entail the disclosure of extensive information from the counterparties, bringing additional clarity and transparency to transactions. Following the Portuguese bailout programme (that officially ended in May 2014) and in the wake of the austerity policies enforced thereunder, a tendency was noted for Portuguese businesses to refocus on their main activities while disposing of assets and businesses that were not essential. This divestment trend created attractive opportunities in the commercial real estate sector, with mostly international players (without liquidity constraints) seeking to take advantage of the sale of quality assets at very competitive prices during the crisis years. Some national groups have also undertaken corporate restructures with a view to segregating their real estate assets from their operational activities, although no reference can be made to a substantial track record in this respect. Other than that, the most typical procedure for monetising corporate real estate has consisted of sale and leaseback-type operations, favouring either purchasers from the financial sector or real estate investors with an appetite for core assets with low risk that can provide a stable yield. The Portuguese market is yet to reach maturity, waiting for strong investment commitment by core capital players such as insurance companies and pension funds. In any case, predictions estimate that real estate investment in 2018 should set a new €3 billion record. Not only is private consumption increasing, but tourism should also continue playing a leading role in the country’s economic recovery, driving investment in hotels and F&B. Retail sales should also endure a positive trajectory, with retail operators expected to continue implementing expansion plans, while shopping centres and other retail units should remain interesting assets to trade. Several properties still require refurbishment and repositioning, reason why other than in the case of external factors, the market should continue providing wide opportunities for distinct capital requirements. The trend for the next 12 months should be the sale of portfolios and large assets in the retail, housing and office sector, as major deals should complete regarding shopping centre assets and hotels. As for the logistics sector, the boost provided by the Logicor deal should be a one-off owing to scarce product capable of attracting investor appetite. As attractive yielding assets become rarer, property development should commence gaining more momentum and retaining capital interest. The focus on the high-end sector is also expected to give place to lower segment projects outside the main urban centres, seeking to capture investment from a wider client base, while increasing supply to a market craving mid to low-pricing assets. New trends should bring to the fore concepts such as student housing, student hotels, co-working and co-living. Last, but certainly not least, the Portuguese non-performing loan offer should also play a strong role in the years to come, the national offer comprising banks eager to dispose of interesting NPL portfolios backed by real estate assets, which should match the demand of foreign investors for interestingly priced assets, which have become rare in Spain. Regarding legislative measures, it is also hoped that 2018 will be the year of the Portuguese REIT, taking advantage of the momentum of the real estate market to finally create a legal framework for REITS to move forward before the 2019 elections. 1 João Gonçalo Galvão is a partner at Campos Ferreira, Sá Carneiro & Associados. 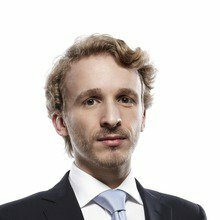 The author would like to thank António Rocha Mendes, partner and head of tax at the firm, for his contribution to Subsection v of Section IV on tax considerations. 2 Although subject to the organisation requirements and duties applicable to managing entities for real estate funds regarding those funds, the managed assets and the respective investors, in particular rules of conduct and information duties. 3 As per statistical information provided by the Portuguese Securities Commission in www.cmvm.pt/pt/Estatisticas. 4 Assets may not be all located in Portugal. 5 The value resulting from the application of objective criteria, which is usually lower than the fair value. 6 According to Law 83/2017, the formalisation of any real estate transactions requires express indication of the used payment method and timing.